US giant Boeing has signed deals with Chinese firms to sell 300 aircraft and open a completion centre in the Asian giant, China\'s official Xinhua news agency reported, as President Xi Jinping began his first state visit to the United States. Shanghai: US giant Boeing has signed deals with Chinese firms to sell 300 aircraft and open a completion centre in the Asian giant, China's official Xinhua news agency reported, as President Xi Jinping began his first state visit to the United States. The Xinhua report, which was datelined from Seattle, where Xi's trip started on Tuesday, gave no immediate details of the models of the planes bought by a group of Chinese companies or the value of the sale. But it is likely to be one of the biggest of recent times. State-owned Commercial Aircraft Corporation of China (COMAC) also signed an agreement with Boeing Tuesday to set up a "completion centre" in China for its 737 airliners, Xinhua said. Xi is due to visit Boeing's main plane factory in Washington state on Wednesday, as he looks to highlight the importance of China to US firms. Later in his trip he will travel to Washington DC to meet US President Barack Obama at the White House. China is expected to add 6,330 new aircraft worth $950 billion to its commercial fleet by 2034, Boeing said last month in its annual China Current Market Outlook. 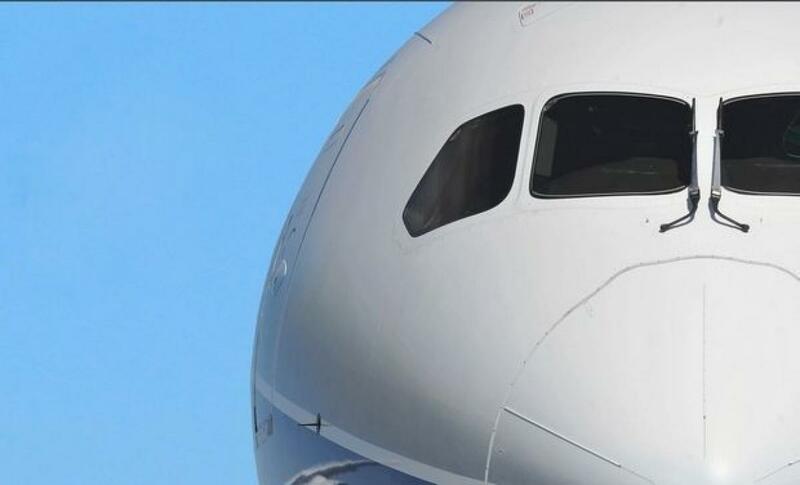 A report by the Shanghai Securities News on Tuesday said plans for a Boeing factory in the eastern Chinese province of Zhejiang have been submitted to the central government in Beijing for approval. A Boeing factory in China would represent a shift in the US giant's strategy in the crucial market, where European rival Airbus has a final assembly operation for medium-range Airbus 320 aircraft in the northern port of Tianjin and plans to open a new completion and delivery centre for long-haul A-330s. Boeing declined to comment on the Shanghai newspaper report.